© 2007 GIA and NACCC, admin. GIA. Individual copyrights may apply. 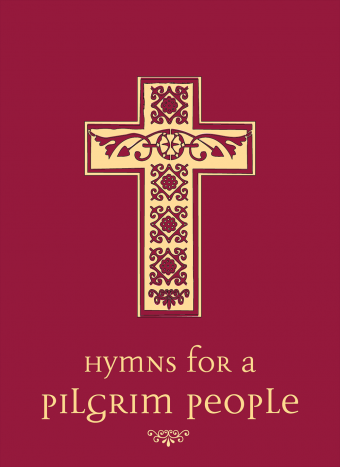 Hymns for a Pilgrim People A hymnal by our churches — a hymnal for our churches! This new hymnal includes traditional hymns along with gospel songs, praise songs, new hymns, spirituals, contemporary songs, and children’s songs. When we share a common hymnal in worship, we share in the hearts of our sister churches as we worship. Come share in our hearts, in our songs, and in our walk along the Congregational way. BOOKPLATES Our free-upon-request "donor bookplates" affix directly, creating a loving memorial that will remain in church for years to come. At the same time the necessary funds are raised, quickly and easily. DONATIONS "The simple fact is parishioners welcome the opportunity to help pay for hymnals because it's such a wonderful way to honor the name of a loved one."